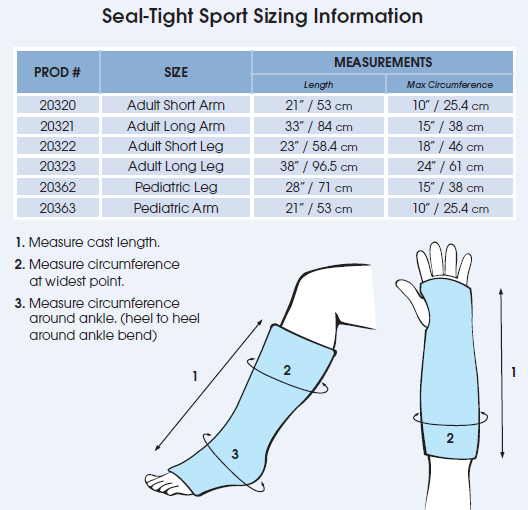 SEAL-TIGHT Sport is a safe, economical protector for casts and bandages during recreational water activities or daily showering and bathing. Easy application eliminates the need for pumps, hook & loop closures and adhesive tapes that may irritate skin. Made of a high performance thermoplastic elastomer that stretches easily, SEAL-TIGHT Sport maintains a waterproof seal. 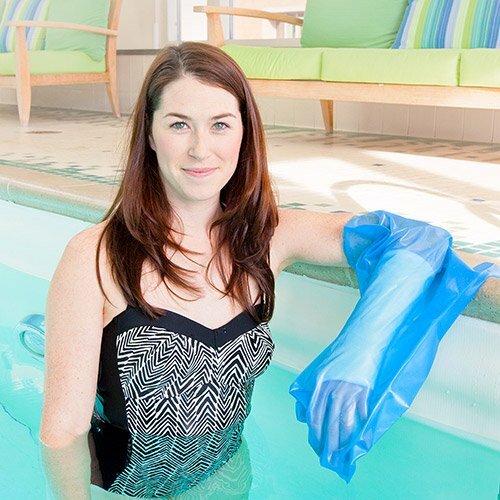 Use for swimming, water sports, whirlpools, hot tubs, showering or bathing to protect casts and bandages.Best cast protector for swimming.